Grosset & Dunlap, 9780448481029, 32pp. Brr-ring! Up pops a fireman at the sound of the fire station alarm, and he rushes with his crew to put out a house fire in a nearby neighborhood. The family is safe, but one of their Dalmatian puppies is missing! 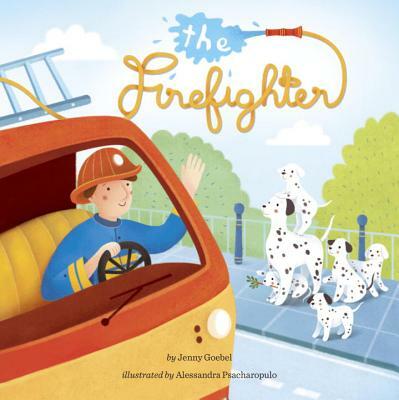 It's up to the brave fireman to rescue the pup from the burning house—and in the process, he finds himself a new firehouse friend. The Firefighter covers the concepts of Community Workers & Helpers and Problem Solving. Jenny Goebel is the mother of three and in her free time she writes anything from picture books to middle-grade novels.